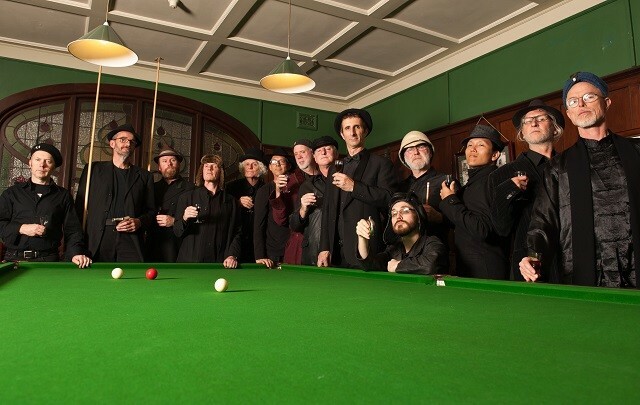 The Spooky Men wooed us with an outstanding concert at the end of summer 2018 and now they’re back! They are the gift that keeps on giving... as thunderous as a herd of wildebeest, as sly as a wagonload of Spike Milligans and as sonorous as a cloister of monks. They emerged blinking-eyed from the Blue Mountains of NSW fifteen years ago and armed with no more than their impressively cavernous vocal chords, a nice line in deadpan, improbable facial hair and an ill-matched set of hats, have been gleefully impressing audiences throughout Australia, NZ and the UK ever since.